First brewed in 2005, 2014 marked the final year for Anchor's spring seasonal Bock Beer, paving the way for new seasonal releases. I'll be honest, this wasn't a massive loss for the craft beer world, as the Bock Beer was one of the more forgettable Anchor products. However, as always, I still think it's worth adding this review to the archive. As for construction, the malt bill was two-row pale, Munich, caramel, chocolate, and wheat. Hop bill was nugget and glacier, with a dry-hopping of glacier. The dark satiny texture of Anchor Bock®, with its rich hints of chocolate, caramel and roasted barley, is our interpretation of the historically strong German beers that signal the coming of spring. Bock on! Let's get in the time machine and do this. Appearance: A clear, dark brown body capped by two fingers of tannish head that recede slowly and leave great lacing. Aroma: Roasty malt accompanied by spices, caramel, and something a little lactic. Reminiscent of their Christmas beer. Taste: Dryish roasty malt, spice, earthiness, and a hint of something metallic. Again, parallels with their winter seasonal, though its nowhere near as rich and interesting. Grainy malt, earthiness, and mild brassy hops in the finish. Mouthfeel: A somewhat creamy medium body with smooth medium carbonation and a drying finish. Drinkability: Though a bit more substantive than most spring seasonals, this is still a rather easy drinker. 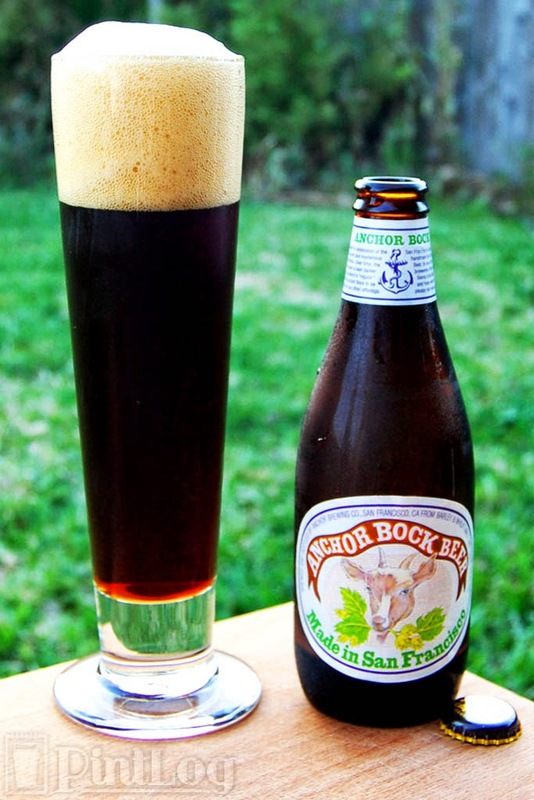 Verdict: Anchor Bock is solid and to style, as you'd expect from Anchor, though just a little unexciting. In the end, it's kind of a neutered version of Anchor Christmas. Note: While this review is being published in 2015 after this beer was retired, the tasting notes contained within were taken when the beer was fresh.